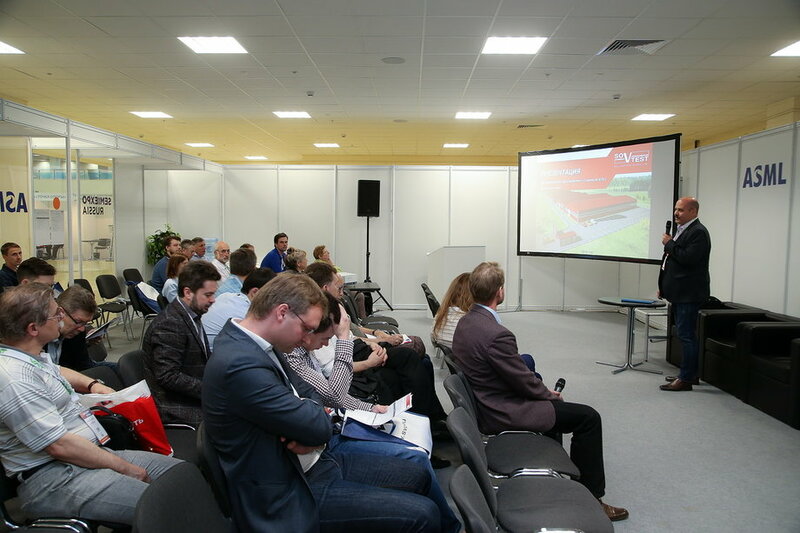 VIII annual forum on development, production and application of MEMS devices «MEMS Forum 2018» was held within the framework of SEMIEXPO Russia, leading industry exhibition on microelectronic and semiconductors in Russia. 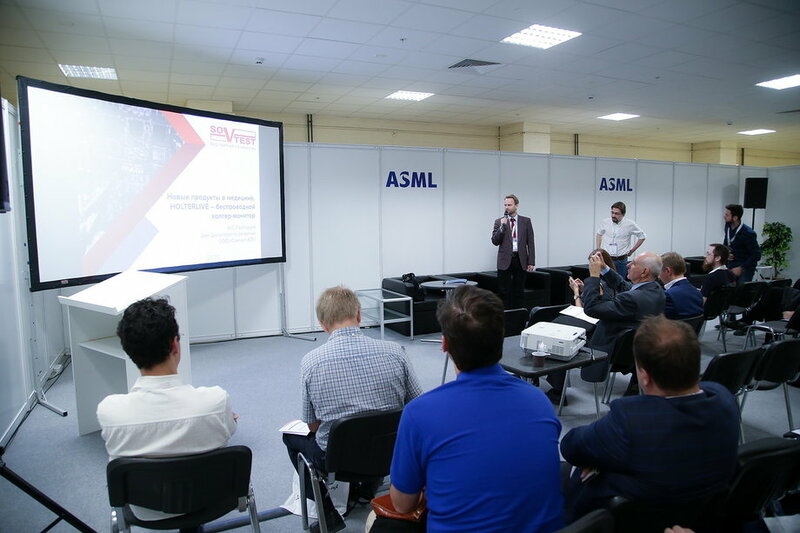 «MEMS Forum 2018» was organized by RAMEMS with the support of Sovtest ATE and organizer of SEMICON, Business Media Russia. Today «MEMS Forum» is leading event about MEMS in Russia and CIS region. Since first event it managed to acquire the status of a unique international event dedicated to the development and application of MEMS. «Smart MEMS and sensors that can change the world» was the topic of the forum. Prospects for creation a new high-tech production at Sovtest ATE plant in Kursk. Expertise in MEMS technology Lisov V.
Implementation of high-tech projects for the development and production of smart sensors in Russia (accelerometers, inclinometers, gyroscopes, high-frequency MEMS, monitoring systems for power transmission lines, etc.) Urmanov D.
Quantum gyroscope based on F-centers in diamond Akimov A.
HOLTERLIVE - daily ECG monitoring and SPIROLIVE - a small lung-tester Grigoriev A. Monitoring systems for engineering constructions (wired and wireless) Lukianchikov D.
Application of solutions based on the LoRaWAN protocol in the field of monitoring (Municipal engineering, tracking, etc.) Markov V.
Unique monitoring system for power lines from 1 kV to 220 kV Urmanov D.
MEMS for IoT, development of the market of civil electronics and mass market Shaimardanova A. «Two years on Russian MEMS production market: Inside look» Shamiryan D.
Presentations were made by representatives of following organizations: Sovtest ATE LLC, RAMEMS LLC, The Lebedev Physical Institute of the Russian Academy of Sciences, Mapper LLC and Zelenograd nanotechnology center. This year forum covered the issues of MEMS productions and its integrations to IoT systems. MEMS market is growing and as the result MEMS applications can be found in a wide variety of fields. Examples of MEMS application from the fields of medicine, housing and utilities, structural health monitoring, precision agriculture and smart city system were represented during the event. Event ended with positive vibe and great feedback from visitors. They noted that program of the forum was informative and it was great opportunity to meet and exchange contacts with people within the MEMS industry.